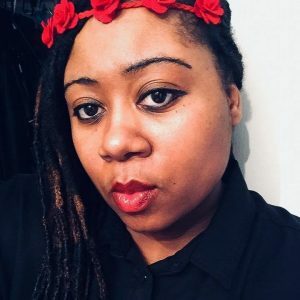 Xlibris Publishing introduces Shalisha Bynoe, author of Testament and other books. I am a writer, filmmaker, and teacher. Some of my specific accomplishments include being a two-time graduate of Full Sail University, working on motion picture film, indie film, and publishing three books. My first book Breathe: Madness Revisited is a written account of my life. The Lovers is a compelling horror and romance tale that embodies folklore and classical tragedy. 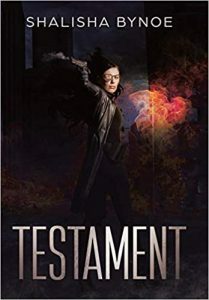 Lastly, Testament elevates readers to a frightening height, following three woman and their ride on a post-apocalyptic hayride from hell. When I’m not writing or making indie films, I invest much of my hours into teaching today’s youth, traveling, and sharing laughs with my three sons. Do you have any literary influences that have helped you develop in your genre, subject and style? I create stories from every genre, except comedy. I have always been inspired by the works of William Shakespeare, Edgar Alan Poe, Mary Shelley, William Blake, Fyodor Dostoevsky, Anne Rice, and others. I believe that their work is dark and thought provoking. They have helped me to develop my style of writing as well create an illusionary line that blends fantasy with the cruel touch of reality. I was inspired by Matthew Bynoe to create the book. Despite his tragic passing, he spoke passionately about my talents. I never understood my true potential until he inspired me to write. 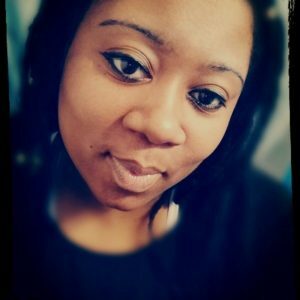 I decided to create a character and construct an entire world based on the love, commitment, and characteristics that my husband possessed. Testament took a total of 7 years to complete. This was due to the complexity of the characters, their arc, and the shocking conclusion of their travels. I would like to thank my readers for their support and to always encourage them to tap into their imagination. Yes! There will be a sequel to this book in the upcoming year. I am currently in the process of having this book sent to different investors and producers in the film industry. In addition to this, I have two book signings in the city of Atlanta. The first one is at the Jim Huie Recreation Center in Jonesboro, Georgia on December 1st. The second book signing is at the Nubian Bookstore in Morrow, Georgia on December 7th. The greatest aspect about publishing with Xlibris is that I have gained knowledge that has helped me grow as an author. I have also learned about the importance of selecting a package that is appropriate for my materials and helping to aggressively market my work. Lastly, working with Xlibris has taught me that through hard work and commitment anything is possible. The advice that I would give to aspiring authors is to take the time to sharpen their craft and to take their time creating their work. If they rush their work, it will show on every word of the page. I would also advise them to do research on marketing strategies and to think of alternative mediums to place their work. Consider all options wisely.